Definitive Solution to Electrical Contact Fire and Over-Voltage Damage ! Fires from electrical contacts have increased by almost 100% in the last 10 years. The main reason for this is to think that the use of surge protector, surge arrester, regulator, lightning rod in the electrical installation is sufficient. However, these elements can not prevent over-voltage damping or prevent over-voltage damage to the system. 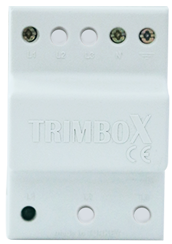 In a system using a Trimbox, damage to the over-voltage is completely prevented. 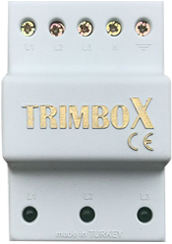 Trimbox protect your home, your workplace, your production equipment, your patients and your loved ones against the electrical contact fires and high voltage damage! 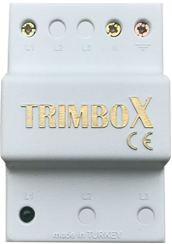 The first TSE-BDS certificate given with the reference number BDS-0001-1 to the products with high criteria and inventive was given to TRIMBOX. 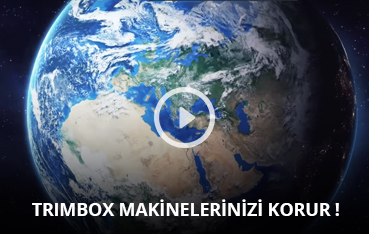 International brands such as Arçelik, Aselsan, Karsan, Tofaş, Tuv-Turk, Vodafone and hundreds of national enterprises have secured their systems with TRIMBOX. 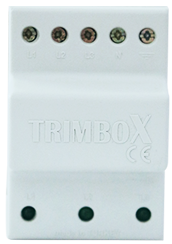 GND Series is a model of the Trimbox brand and is intended to prevent potential electronic devices and electronic cards from being damaged by regulating the potential difference between neutral and ground. When doing this task, it also prevents display disturbances that are generally considered ground-level interference in the monitors' screens (including projections). All Rights Are Under Legal Protection.